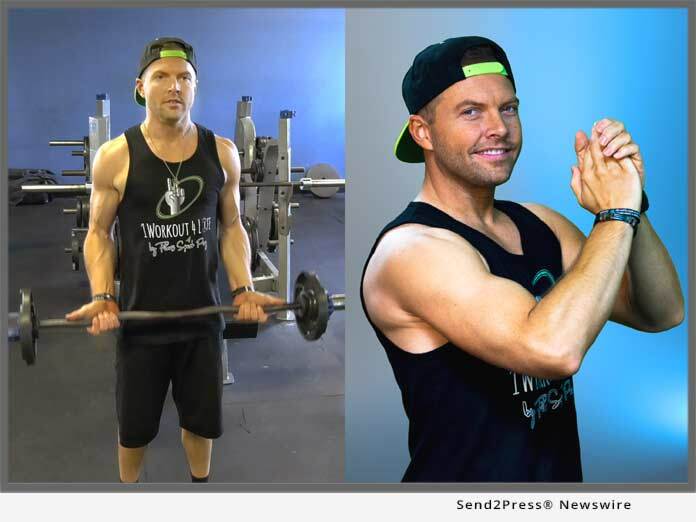 JACKSONVILLE, Fla., Jan 31, 2019 (SEND2PRESS NEWSWIRE) -- A new smartphone sports and fitness app, 1 Workout 4 Life, launched by Fitness Spark Plug, is designed to get people in shape and keep them in shape - not just for the short-term, but long-term too. This flagship program is free to download on Google Play and the Apple App Store. To celebrate its launch, 1 Workout 4 Life is running a nationwide transformation contest with a grand prize of $3,000. The deadline to enter is February 28, 2019, and no purchase is necessary (open to U.S. residents, age 18+, only). Matthew Jay Fogle is the app's creator as well as a certified personal trainer. He says, "1 Workout 4 Life is the most sustainable gym workout on the planet." The app is simple to follow and takes a whole-body approach to fitness. It's a complete workout that users can cycle for their entire life - not just 21 days, 30 days and so on. "My philosophy is that people don't have to be infatuated with their workouts, as most of the fitness industry seems to promote," Fogle says. "Fitness should be implemented as a routine to help people accomplish their greater goals and life callings. Once you have that mentality, it becomes easier and more sustainable." 1 Workout 4 Life is a combination of exercise routines that uses multiple rep ranges and rest intervals, a mixture of cables, dumbbells, barbells and other modalities. It also includes compound and isolated movements for enhanced progression and targets all the major muscle groups. People can easily customize their routines based on how many times per week they exercise. There are separate workouts for men and women, and each day's routine can be accomplished in about 45 minutes. There are more than 40 exercises in the program, and video demonstrations are available at the touch of convenient links. Nutrition and lifestyle articles are also included in the app to give users a higher chance of success. "1 Workout 4 Life is specifically designed to not only give users better health, but to also make them more aesthetically fit," Fogle says. "Most workout routines miss the point about proportional aesthetics. Many people who work out look like they go to the gym, but that doesn't mean they look good or healthy. "If you care about making a splash socially or at work - creating more sales, being in command while public speaking, or doing whatever it is God has called you to do - it's important to walk into a room or onto a platform with a relaxed and charismatic stature. This program is specifically designed to do that for people." Fogle is excited about the app's launch and its greater mission which is two-fold - to spread the love of fitness around the world and to communicate his Christian faith. "It is God's calling for me to do this," he says.